This post marks the first in a new series for the Londonphile, featuring London sites that are at risk. These may be facing closure due to financial problems, demolition due to development or simply decaying before our eyes. These posts will advise how you can best register your support – perhaps by signing an online petition, or boosting attendance figures by paying a visit. 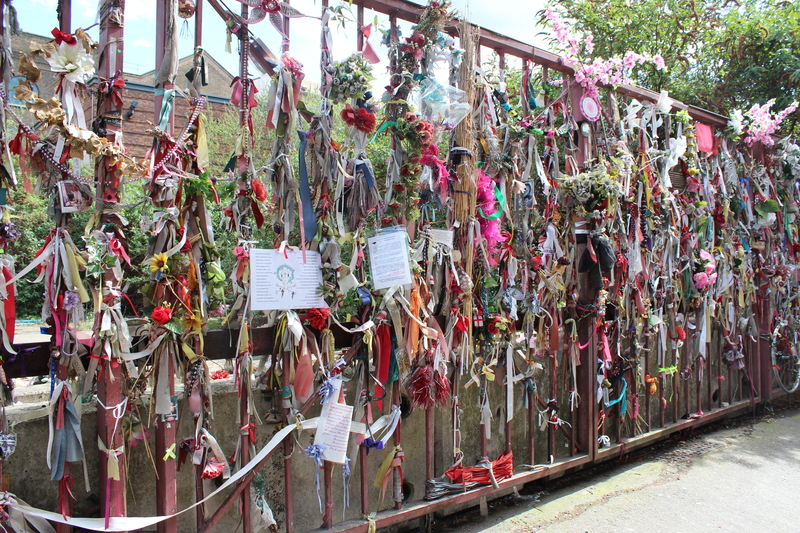 Cross Bones Graveyard has long been an at risk heritage site – it was rejected as unsuitable as a building site as far back as 1883 – and it has been featured in the media of late as it is again being marketed for development. Although much of the Cross Bones site is at first glance a concrete wasteland – owned by Transport for London and currently used for storage – it is in fact the last resting place of over 15,000 people. And while anyone who has read Catharine Arnold’s Necropolis will know that the dead can be found all across London, Cross Bones’ unique history makes the site a particularly significant one. As the plaque on its gate advises, Cross Bones was home to the ‘outcast dead’, an unconsecrated ground used for the burial of prostitues or, as they were known locally, ‘Winchester Geese’ – so-called because they were licensed to ply their trade within the Liberty of the Clink in Southwark by the Bishop of Winchester. Despite this protection, these women were not deemed fit for Christian burial, and their graveyard was appointed ‘far from the parish church’. Although the exact age of the burial ground is not known, it was mentioned in John Stow’s 1598 A Survey of London. It later became a pauper’s cemetery – tellingly in 1665, the year of the Great Plague – in an area with no shortage of slums (and body-snatchers). It closed to burials in 1853 when it was declared over-full and a risk to public health and decency. 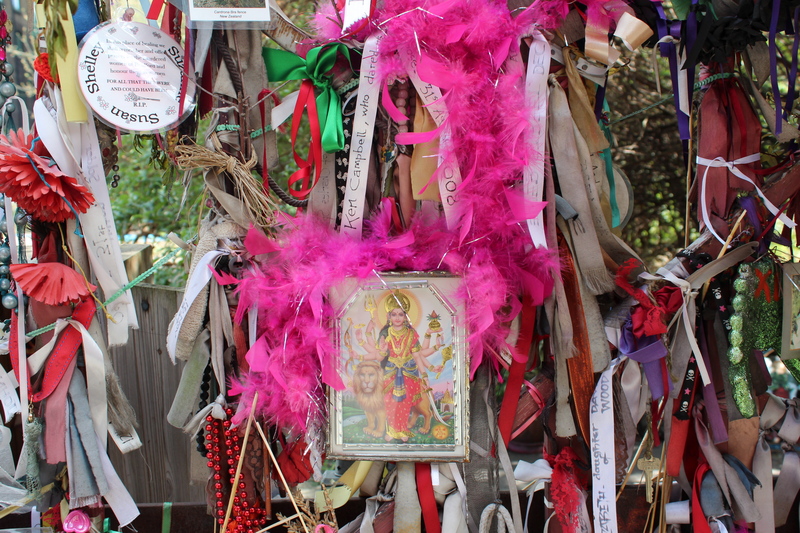 Today the Memorial Gates are festooned with ribbons, cards and flowers – a tradition which started at the 1998 Halloween ceremony – and small shrines have been placed on the site. 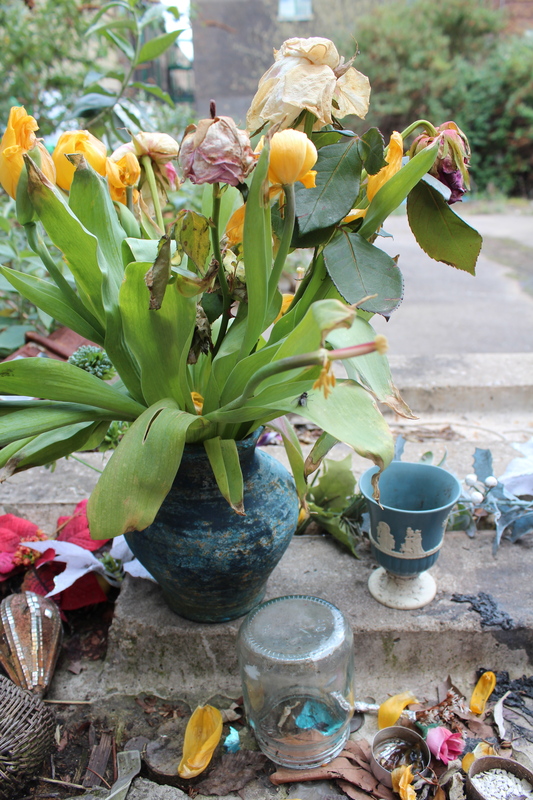 The colourful, celebratory nature of these offerings adds greatly to Cross Bones’ atmosphere, and is also what makes it so very different – appropriately enough, given its outcast nature – to most English graveyards. 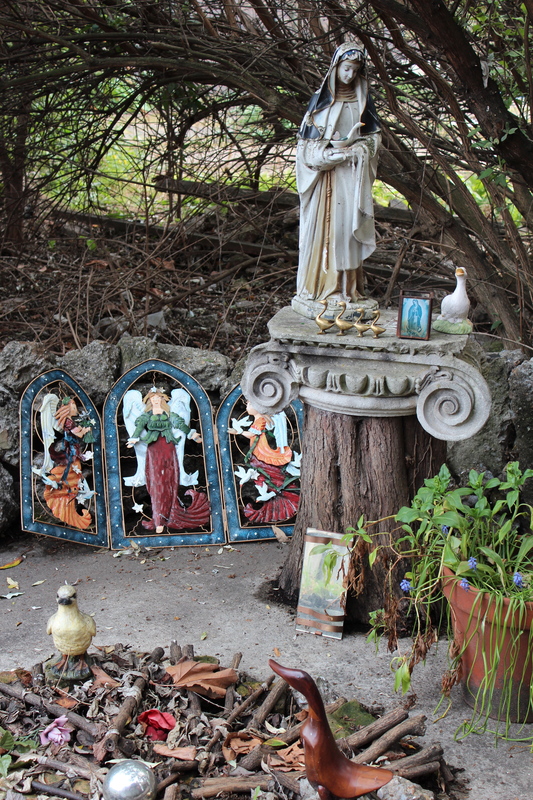 A closer look inside the site reveals a statue of Mary in an almost grotto-like setting amongst trees, accompanied by a number of ornamental geese. These days, the Shard is also a constant presence, looming high above the site. Local writer John Constable, who has long been a leading campaigner in the fight to protect Cross Bones, now hopes that at least part of the site can be retained as a Garden of Remembrance and a public park, and the Memorial Gates preserved. Vigils are also held at the site at 7pm on the 23rd of each month, as is an annual Halloween festival. At 7pm on Monday 23rd April there will be a special vigil to mark St George’s Day and the coming of spring. Cross Bones is located on Redcross Way SE1, opposite the Boot and Flogger pub. This entry was posted in At risk, Cemeteries, History/heritage and tagged Cross Bones, Cross Bones graveyard, Crossbones graveyard, London cemeteries, pauper cemetery by thelondonphile. Bookmark the permalink. This is a great idea for a new series of posts. Do you know about the Buildings At Risk database held by English Heritage? It would be a good source. Thanks Diana, sadly there are a number of ‘at risk’ sites for me to write about…Yes I have heard of that database, and have seen it mentioned in regard to a couple of other things I am thinking of writing about for this series. But yes it would also be a good way of sourcing more! Thank you.